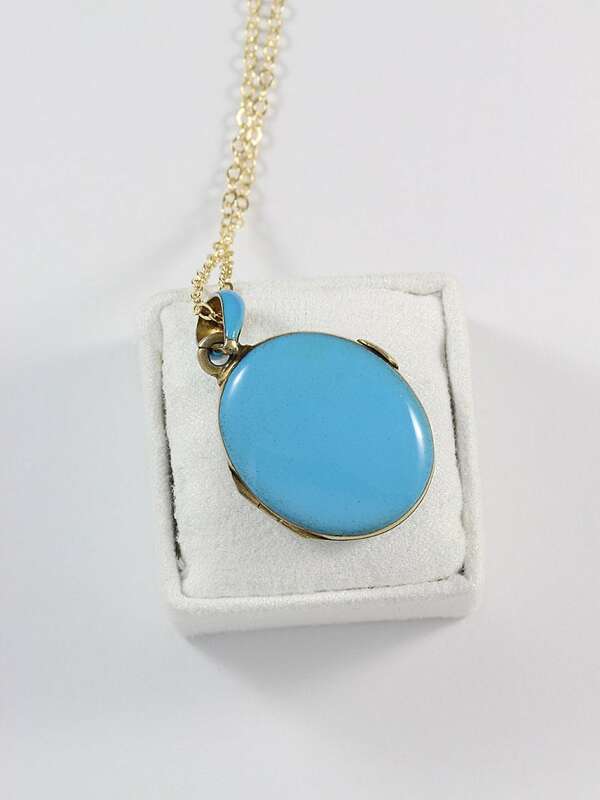 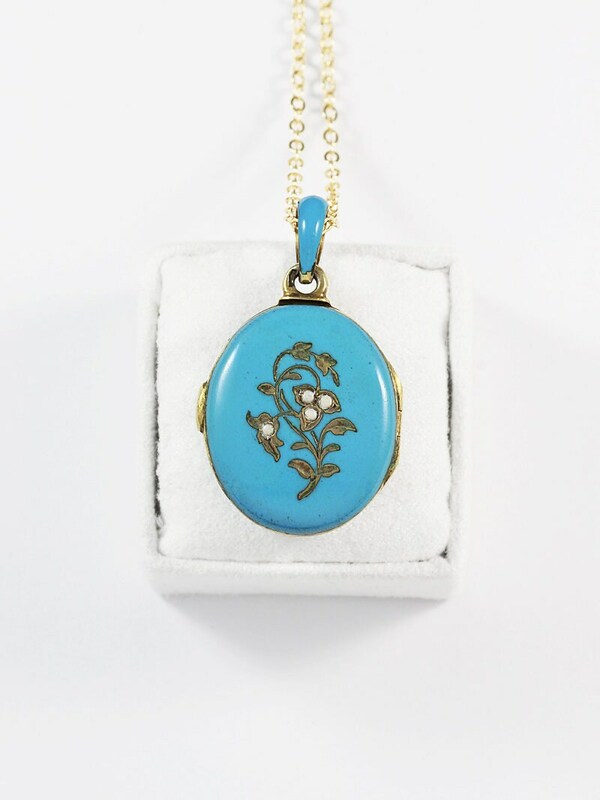 A gorgeous late 1800's robin's egg blue enamel locket features four tiny white seed pearls (possibly glass or enamel) in wispy leafy branches. 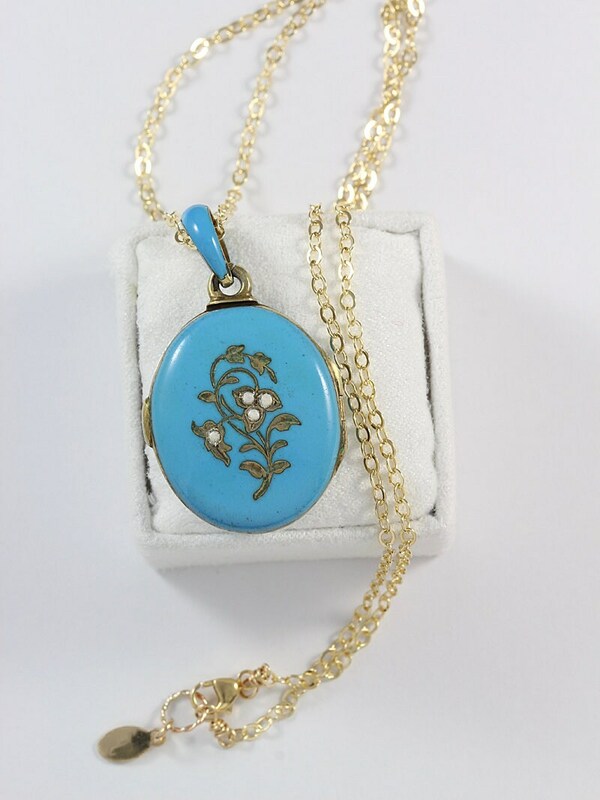 The gorgeous over 100 year old French pendant is in rare, excellent condition with the original enamel bail and original glass inserts on the interior ready to hold your beloved photographs. 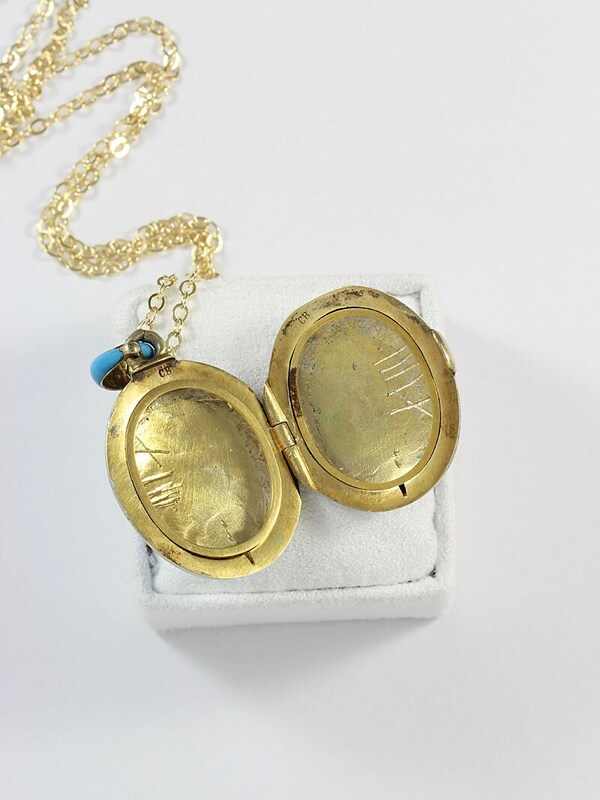 The locket dangles on a new 14 karat gold filled chain hand finished with a trigger clasp and ring. 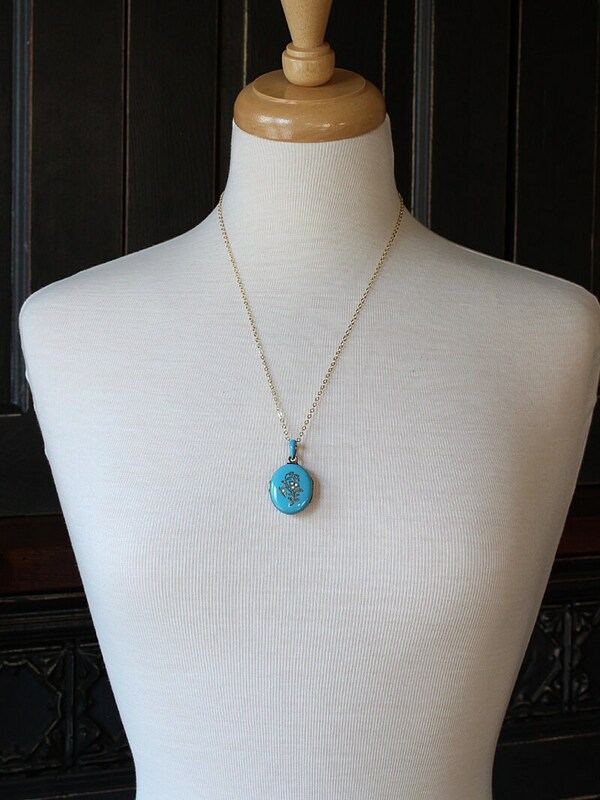 Signed with a French mark and the maker's mark "CB"